Maybelline rocked my world when they teamed up with MakeupShayla to create her iconic City Mini Eyeshadow Palette. They seriously brought the heat! The Shayla City Mini Palette was great quality and rather inclusive of all shades. Including dark skin divas. I absolutely love it! Naturally, I got a little curious when Maybelline announced they were teaming up with model Gigi Hadid for a limited edition collection. There were some mixed feelings upon the reveal of the collection and packaging. Some felt the Maybelline x Gigi Hadid Collection was boring and dupable. And they were partly right. There’s nothing truly unique about the Gigi Hadid Collection. However, it’s still rather cute drugstore collection that may peak your interest if you’re on the lighter end of the spectrum. There’s certainly some gems hiding in this collab! Like Shayla, Gigi Hadid hit Maybelline’s headquarters to whip up her own collection. The shades, products and names were all hand-picked by Gigi Hadid so I wasn’t too surprised that the collection didn’t look inclusive. Or that it wasn’t the most unique or innovative release. Gigi Hadid is a model. A rather plain model, if you ask me. She isn’t known for bold makeup. Or outlandish fashions. Gigi Hadid is seemingly your typical girl next door with amazing cheek bones and lips. If you ask me, her collection and the packaging fits her style perfectly. It’s simple, chic and beautiful. Gigi Hadid also put her signature spin on Maybelline’s new City Mini Eyeshadow Palette with the new West Coast Glow Eyeshadow Palette in Warm. There’s other eyeshadow palettes in the collection as well. However, the West Coast Glow Warm Eyeshadow is your best bet if you’re a dark skin diva. I can appreciate that the West Coast Glow Warm Eyeshadow Palette comes with a nice rich matte brown and some beautiful shimmers. There’s still much left to be desired, though. Like a solid transition shade. The taupe and mauve shades are a bit too light for my skin tone to get any good use. On the bright side, the quality of the West Coast Glow Warm Eyeshadow Palette is still pretty solid. So it’s a nice palette to have in your collection. If you’re on the fair to medium end of the spectrum, of course. Gimme That West Coast Glow, Baby! The West Coast Glow Gold Liquid Strobe has a lightweight, bouncy gel-like texture that’s very soft. It blends quite easily on bare skin with nice pigmentation. Not too intense but still not too sheer where you have to layer it on. I’d say the West Coast Glow Gold Liquid Strobe would be a good option for anyone looking for a good glow. The formula is easy to apply and mixes well with my moisturizer and foundations for a beautiful sheer golden glow that’s not too shimmery or metallic. Keep in mind that this is a liquid highlighter still. Of course, there’s some fine glitter in the mix. So you’ll want to be careful not to use too much when mixing into your moisturizer or foundation. A little goes a long way! I suggest applying a small amount of the West Coast Glow Gold Liquid Strobe and then building for intensity. You’ll definitely want to avoid getting too much glitter all over! Love to highlight? Then you’ll be in awe of the West Coast Glow Gold Liquid Strobe! This beauty holds its own like no other. The Gold Liquid Strobe gives a skin a smooth, almost “wet” golden gold glow that looks beautiful on many skin tones. But it really stands out on dark skin divas! This is the only piece from the Gigi Hadid Collection that I can 1000% stand by. It’s wonderful! And I’m not really mad at that. This collection catered to Gigi’s everyday glam makeup. There are some pieces that may work for some brown girls. Like the liquid illuminator, lipsticks and maybe even the eyeshadow palettes. But we weren’t the intended audience. That’s okay. 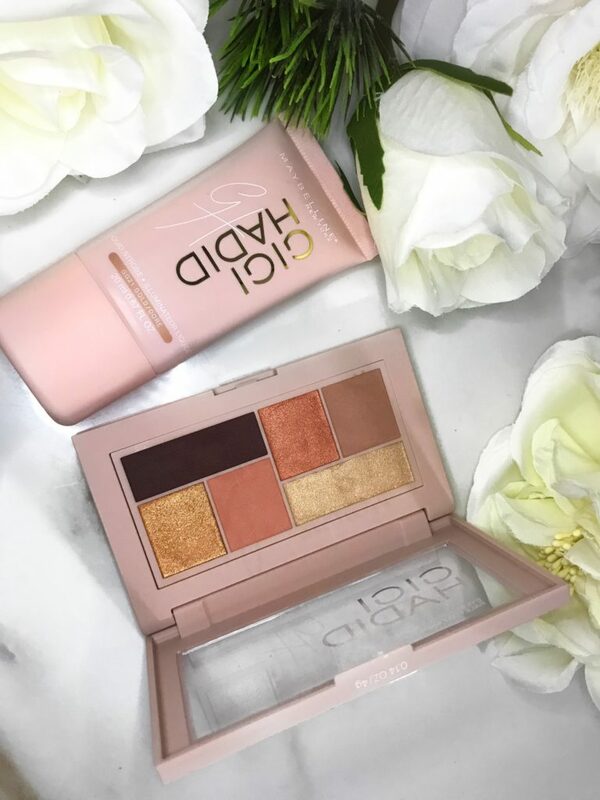 Maybelline gave us brown girls some shine with the Shayla City Mini Palette and now my lighter sisters have a swing at the Gigi Hadid Collection. Granted, they have a lot more to choose from. * insert eye roll * This is still a step in the right direction though. Here’s to hoping the beauty world is a lot more diverse and inclusive this year! Happy New Year!